“No, no, I wasn’t happy,” admitted Harrison. “But I was excited that I got to play Quarters. Admit it: you’re already chomping at the bit for the interview, aren’t you? Stay tuned, “Reaper” fans! I know I’m not the only one amongst the Bullz-Eye staff who regularly frequents TVShowsOnDVD.com, but if you’re a “Reaper” fan and aren’t familiar with the site, then let me tip you to a news brief that popped up there this morning. Our contacts in the industry tell us that the plan is for The CW to air all 13 episodes (of “Reaper”) on thirteen consecutive Tuesdays, and after the 2nd season finale airs on Tuesday, May 26th, then Lionsgate will release Reaper – Season 2 on DVD exactly a week later, on June 2nd. Sweet! 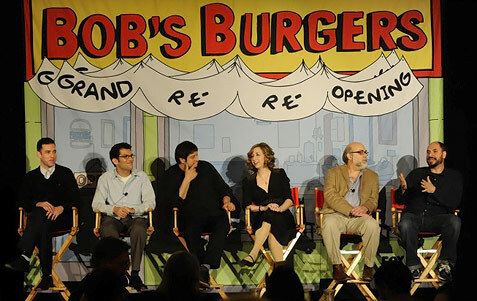 We can only hope that the powers that be have utilized the amount of time that’s passed since the cast filmed the episodes – they were working on them in 2008 – to produce better bonus material for this set than they did for Season 1. I’ve talked to three of the primary cast members of the show over the course of its run (Bret Harrison, Tyler Labine, and Ray Wise), and they all love working on and talking about the show, so it’s clear that they’d be willing to contribute if only they were asked to do so.